the little Carolina wren who nested in my screen porch rafters last year has a new nest in the same spot this year… looking (actually more like listening) forward to those little peepers. 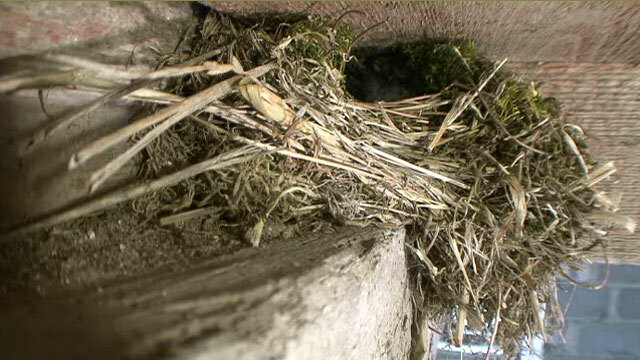 The nest is a rather untidy affair with loose twigs, grass, and other material rather randomly piled into a corner. Still it works for her. The bird feeder seems a success in its new location under the live oak out front. It is emptied by the birds every other day and so far no squirrels trying to jump into it. No nesting interest in my new birdhouse…but then it came a little late for the first nesters this spring. Maybe later ones will find it.